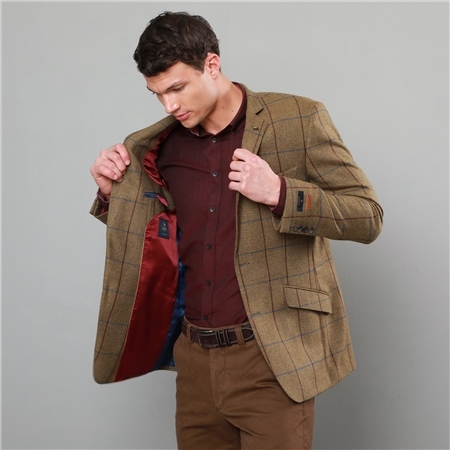 A classic country pure new wool blazer in a light brown fabric featuring a burgundy and blue windowpane check. The blazer styling is timeless with 2 slant pockets, an outer ticket pocket, side vents and a contrasting under collar. Style with a Navy Dungloe Washed Trousers and Blue Checked Balbane Shirt.